Since this was a trade with a Youtuber, I did a video of the trade package. Thanks again Jordan! 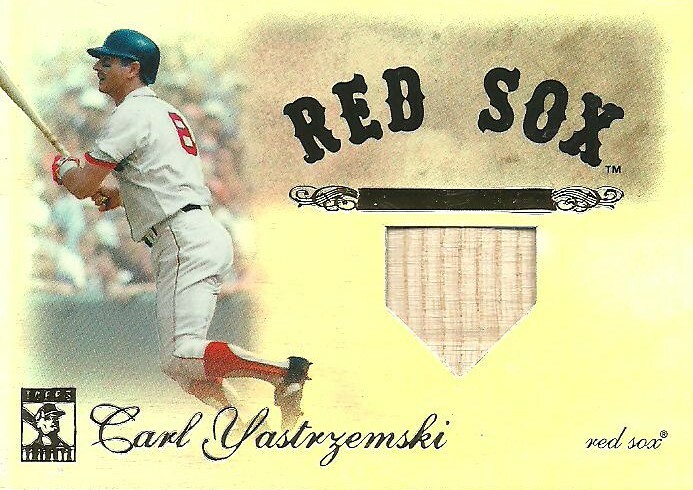 The Yaz bat card puts me at 17 out of 28 for bat cards of members of the 3000 Hit Club. 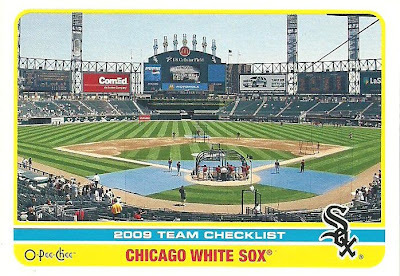 Here's a recap of my 2012 Card Collecting Goals and where I stand. 1. TTM Autographs - 50 TTM autographs this year from at least 30 different people. One thing that I plan on doing differently this year in regards to my TTM requests is expanding to sports other than just baseball. ***COMPLETED*** I ended up with 66 autographs from 43 different people during 2012 from ttm autographing. 2. 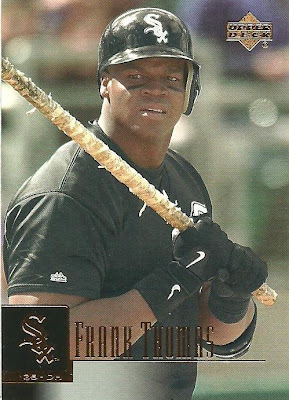 3000 Hit Club Bat Cards - Collect a bat card of 28 players in the 3000 Hit Club. I achieved my 2010 goal of a Bat Card of every member of the 500 Home Run Club and have decided to try for the 3000 Hit Club. Several players are members of both clubs (Hank Aaron, Willie Mays, Eddie Murray, and Rafael Palmeiro) and I already have a Ty Cobb Bat Card, so I need 22 more. ***NOT COMPLETED*** I currently have 16 out of 28, with two more coming in soon. 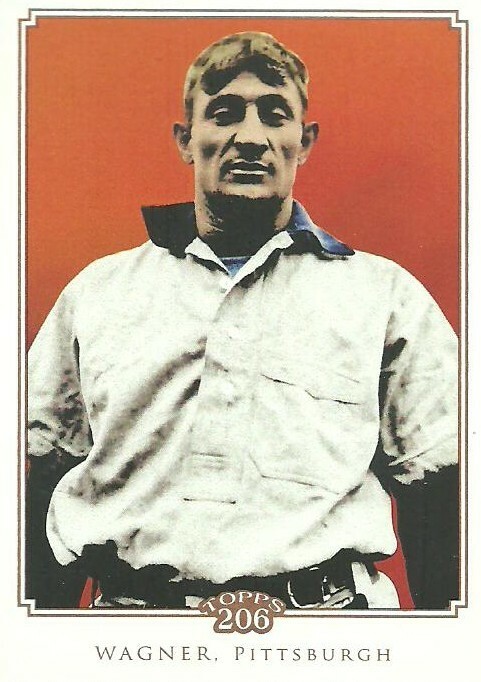 Most of the ones I still need are from the early 1900's like Ediie Collins, Honus Wagner, Cap Anson, etc. and will be difficult, i.e. expensive. 3. 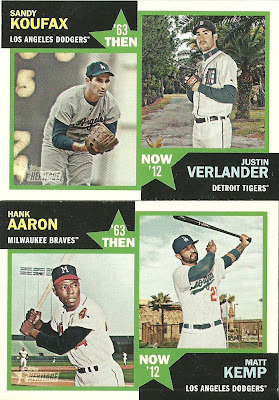 Greatest Non Relic/Auto/Numbered/Parallel Insert Set of All-Time - I recently asked for suggestions for this and got some good ones. To clarify, this will be for baseball only. I plan to narrow the list down and select the greatest non relic/auto/numbered/parallel insert set of all-time and collect that entire set. ***NOT COMPLETED*** Not sure where to go with this one. I'd still like to do it, but I find it difficult to get started. 4. 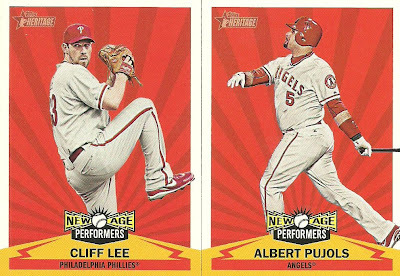 Cards Featuring Awards - In 2010 I started a collection of cards with players holding multiple bats, which I still add to. In 2012, I want to collect at least 50 cards featuring awards. 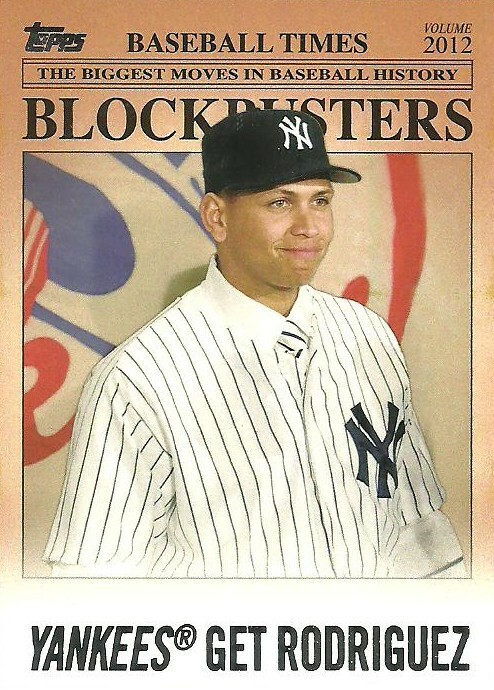 This can be any award, Rookie of the Year, MVP, World Series trophy, etc., but the card must have a picture of the award on it, not just mention that the player won the award. ***NOT COMPLETED*** I currently have 23 cards featuring awards. This has proved more difficult than expected, but I'll keep at it. 5. Dan Wilson Collection - Dan Wilson was a Major League catcher that played 13 seasons for the Cincinnati Reds and the Seattle Mariners. 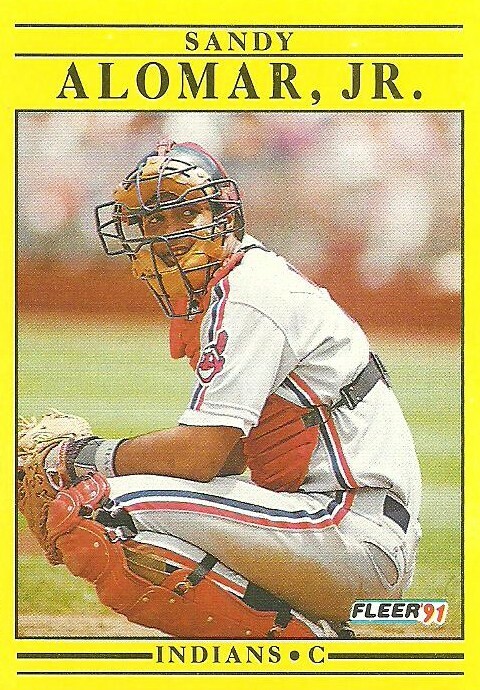 He is set an American League record for catchers with a .995 career fielding percentage and was an All-Star in 1996. 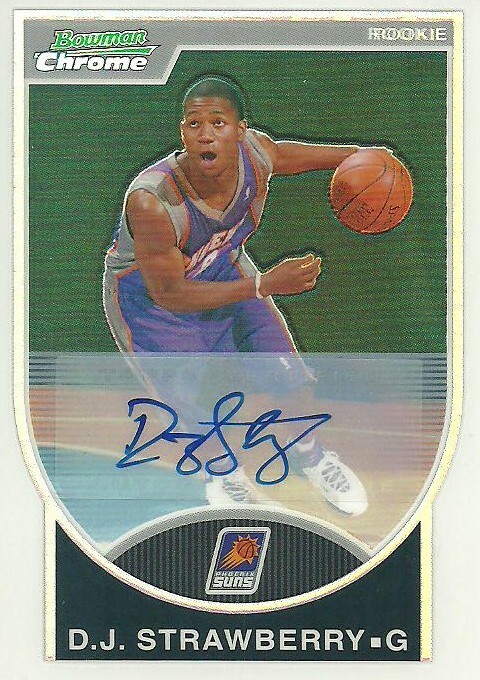 My name happens to be Daniel Wilson, so I have always been drawn to collecting his cards, but haven't actively pursued his cards in years. 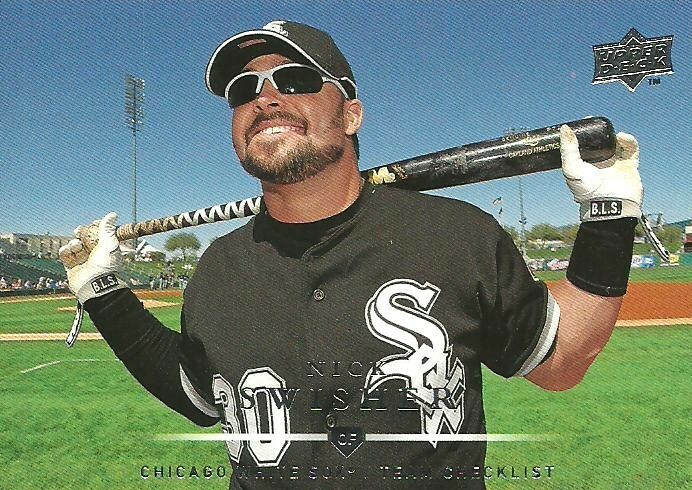 I would like to complete a Trifecta (RC, Auto, and Game-Used) for him. 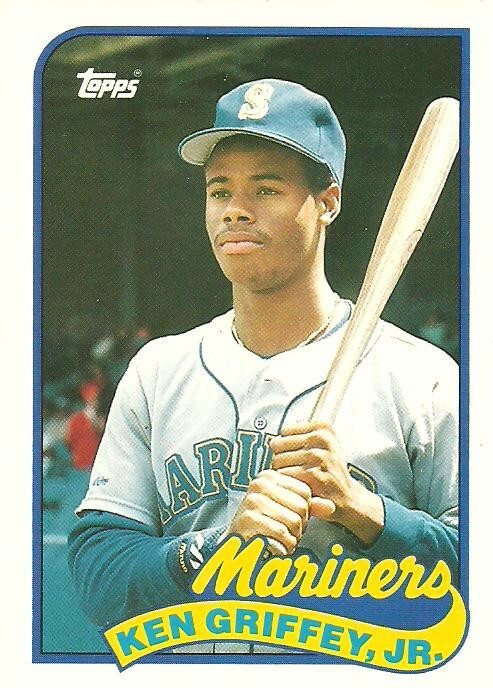 I already have several different rookies, and a quick eBay search revealed several certified auto's but no game-used so that could prove difficult. ***COMPLETED*** You can view the trifecta here. 6. Ryan Roberts Collection - Ryan Roberts had a breakout year in 2010 and is definitely a fan favorite here in Arizona. I met him at the All-Star Fan Fest and he is a super nice guy. Because he was not an everyday player until this year he actually has very few cards. 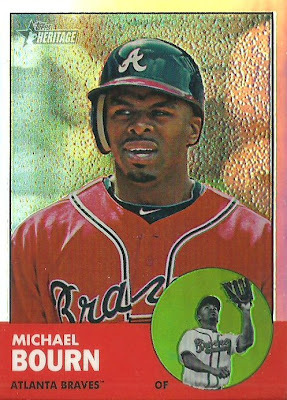 He was included in the 2011 Topps Update Series and I collected as many of those parallels as possible. 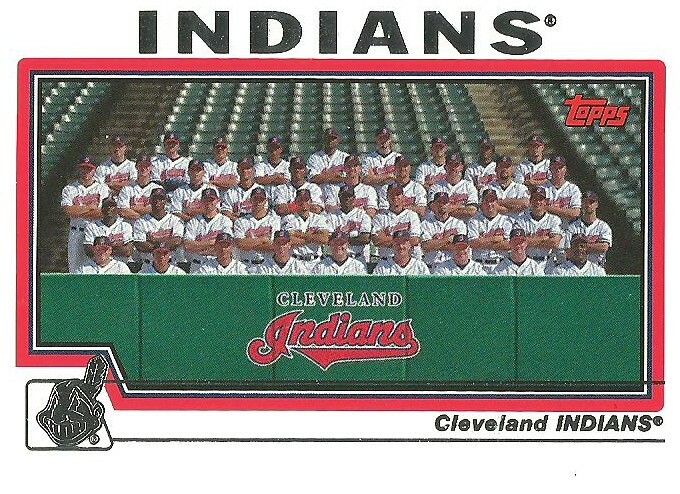 I haven't seen any of the 1/1's aside from two of the Printing Plates which I was able to get. I have a feeling that he will be included in a lot more product in 2012, so I definitely want to increase my collection of Ryan Roberts cards and so without knowing exactly how many cards he will have in 2012, I will set my goal at 25 unique Ryan Roberts cards for 2012. 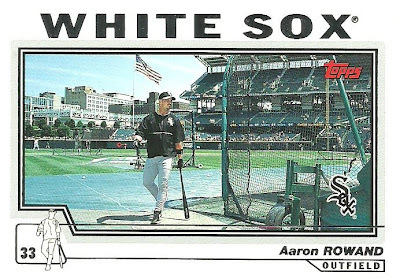 ***COMPLETED*** I have at least 29 different Ryan Roberts cards with several more that need to be added to this list and a few more on the way from COMC.com. 7. 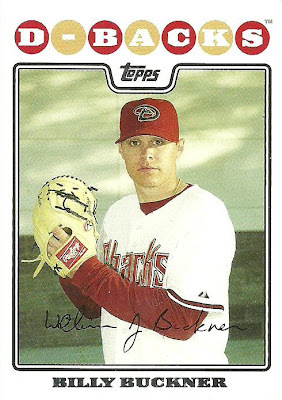 Brandon Webb Collection - In 2010 I set a goal to reach 200 unique Brandon Webb cards. 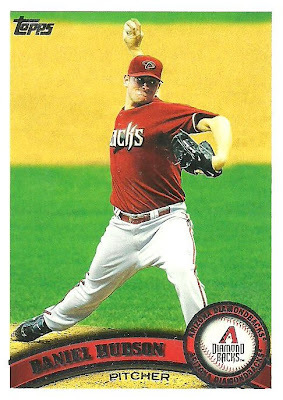 After blowing out his arm on Opening Day in 2009 he has since signed with the Rangers but has not pitched in the Big Leagues. I'm not sure where he will end up in 2012. Right now I am at 196 different Brandon Webb cards in my collection, so I would like to reach 200 and see if I can add another 50 cards, bringing my Brandon Webb total to 250 unique cards by the end of 2012. ***COMPLETED*** I currently have 242 unique Brandon Webb cards, so I didn't get to 250, but I got to 200 and feel pretty good. 8. 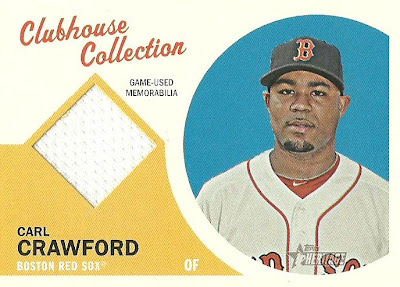 Complete the 2004 Topps Derby Digs Jersey Relics Set - This set features pieces of jerseys worn during the 2003 Home Run Derby. I currently only have two cards from this set, Garret Anderson and Bret Boone so I still need Carlos Delgado, Jim Edmonds, Jason Giambi, Albert Pujols, and Richie Sexson to complete the entire set. ***COMPLETED*** You can view the set here. 9. Post Videos on My Blog and YouTube - Just this year I started watching YouTube videos of TTM successes, box breaks, eBay mail days, trades, etc. and have really enjoyed it. We got a web cam for Christmas so I want to start doing videos for my blog and YouTube in 2012. ***COMPLETED*** Not sure how many videos I did in 2012 but probably about 10 or so and I am in the process of completing my first trade via YouTube. 10. Be More Active in the Blogging Community - I feel really fortunate to be part of this community and want to be more active in my posts, commenting on others posts, trading, etc. In 2011 I only had 96 posts compared to 231 in 2010. I would like to hit at least 300 posts in 2012. ***COMPLETED*** As of this post I'll have 385 posts in 2012 and I try to read and comment on others posts as often as possible. I also held my first real contest, something I would like to do more of in 2013. 11. Vintage - I would like to add 10 solid vintage cards to my collection in 2012. 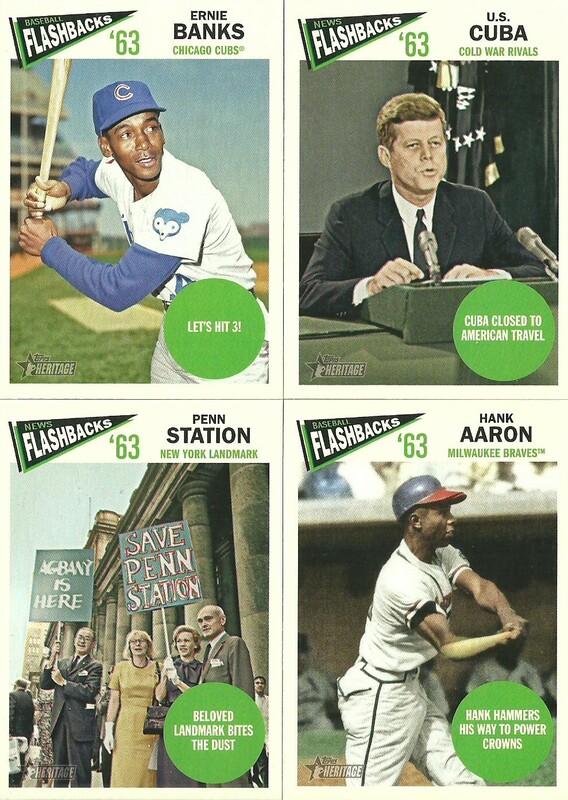 In November I picked up a 1957 Topps Don Drysdale Rookie Card and it reminded me how much I love vintage cards. I have very few in my collection though. For me, when it comes to vintage cards, the condition is not all that important, in fact I think that a card that is 40+ years old should show some wear and tear. ***NOT COMPLETED*** Only got 5 out of the 10, but they were good ones. You can check them out here. 12. Personal Collection - I would like to add 100 cards to my personal collection. These cards will include the 3000 Hit Club Bat cards, ttm autographs, the 10 solid vintage cards, 2004 Topps Derby Digs Jersey cards, in addition to relic, autos, numbered, rookie cards, etc. of either players I collect or Arizona Diamondbacks. ***COMPLETED*** I documented adding 112 cards to my personal collection this year, which did not include ttm autographs like I initially said. I know I've gotten other cards that did not get documented. 13. Autographed Baseballs - I would like to get two baseballs autographed by star players this year. In 2010 I got Don Mattingly and in 2011 I got Don Newcombe to sign balls. Between D-Backs Fan Fest, Spring Training, the regular season, card shows/autograph signings, and the Fall League I would like to at least get two in person autographs of star players on baseballs. 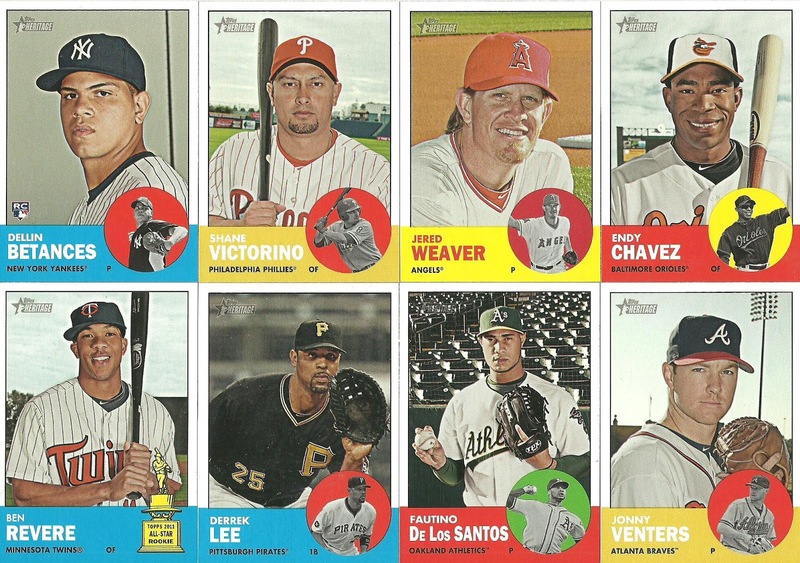 ***COMPLETED*** I was able to add Justin Upton, Paul Goldschmidt (Thanks Joe! ), Brandon Webb, and a 2011 All-Star Ball signed by Justin Upton, Miguel Montero, and Kirk Gibson to my collection this year. Joe also got me a baseball signed by former D-Backs Greg Swindell, Mike Hampton, and Matt Mantei. 14. Organize My Collection - This will be a daunting task, but it needs to be done. I don't want any loose cards and I want to know where everything is at. 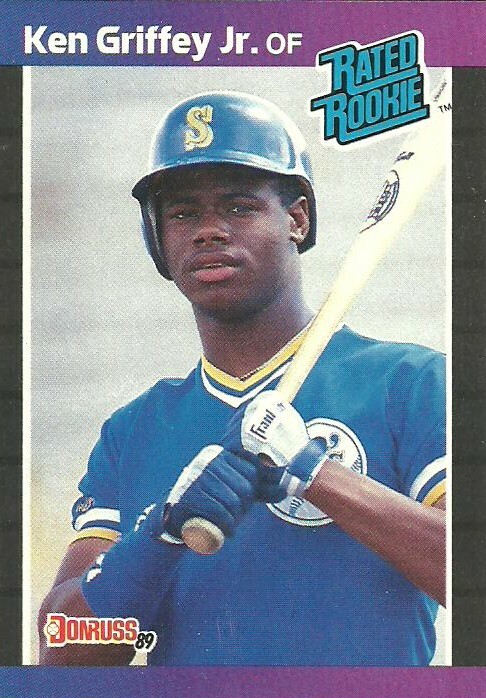 Part of this will be deciding what to do with my Ken Griffey Jr. and Mike Piazza collections that I have from collecting growing up. ***PARTIALLY COMPLETED*** I've done a lot of organizing the last couple of months, but still have a ways to go. I have been able to sort all my cards by sport and almost all of the baseball has been sorted by team. 15. 1997 Upper Deck Ken Griffey Jr. Game Jersey - One Griffey card that I would love to have and keep is the 1997 Upper Deck Game Jersey card. Along with Tony Gwynn and Rey Ordonez (which I already have), these were the first baseball jersey cards. 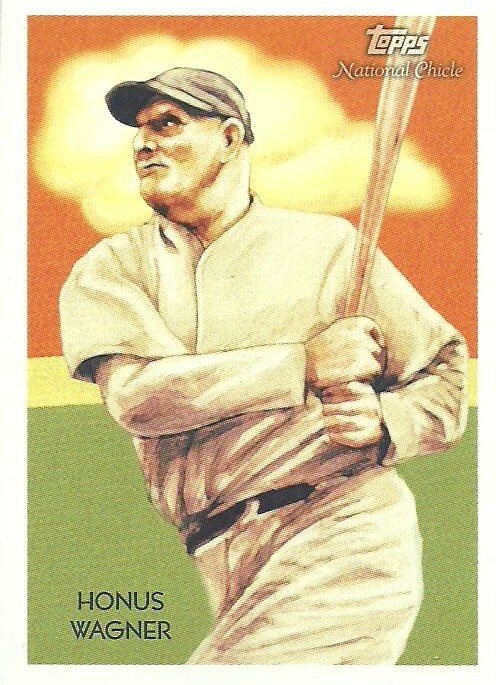 I have wanted this card for a long time, but it rarely shows up on eBay and has always been out of my price range. 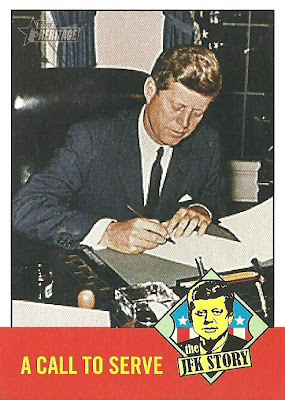 I would like to figure out a way to get this card. ***NOT COMPLETED*** This is my White Whale and I am beginning to wonder if I'll ever get it. I've been sorting my cards by team and decided to do a Top 10 post featuring my 10 favorite base cards from every team. Next up are the Cleveland Indians. While this is a Top 10 list, there is really no particular order. 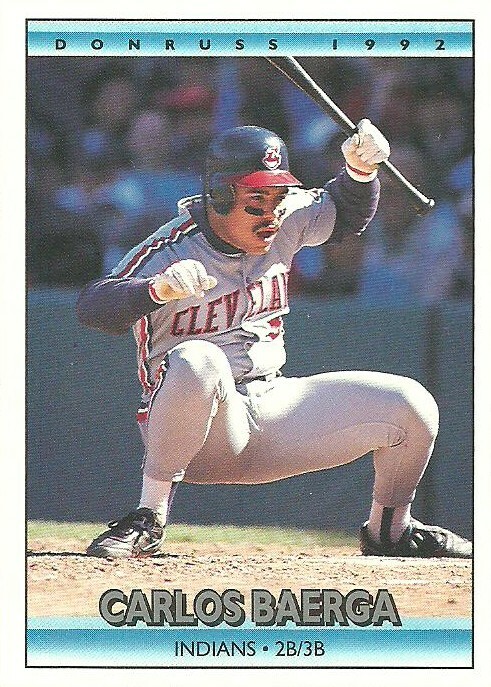 The only qualifications are that it must be a base card and I must own it. So here we go! 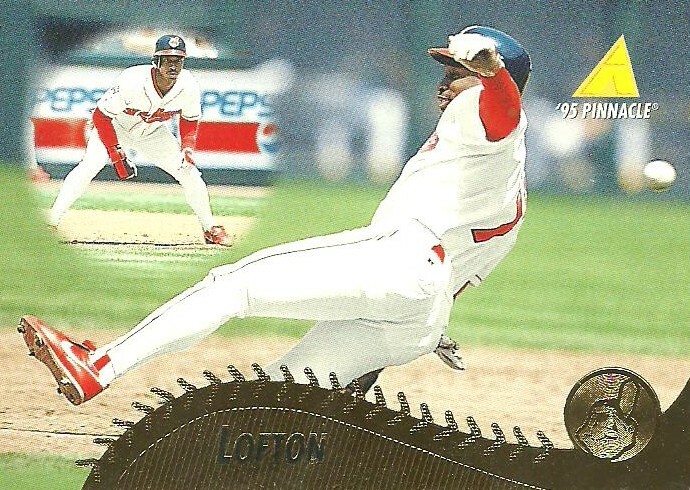 Kenny Lofton attended the University of Arizona on a basketball scholarship and didn't try out for the baseball team until his Junior year. He only played in 5 games and only had one official at-bat when he was dreafted by the Astros in the 17th round of the 1988 MLB Draft. Lofton played for 11 teams over the course of his career, but to me he will always be an Indian and he will always be stealing bases. I love cards that feature a catcher in full gear. I love the emotion depicted on this card. Martinez is furious. The umpire is having to hold him back from somebody that either hit him or came really close. Omar Vizquel is one of the most underrated players out there. I know he played last season, but I think he did retire. 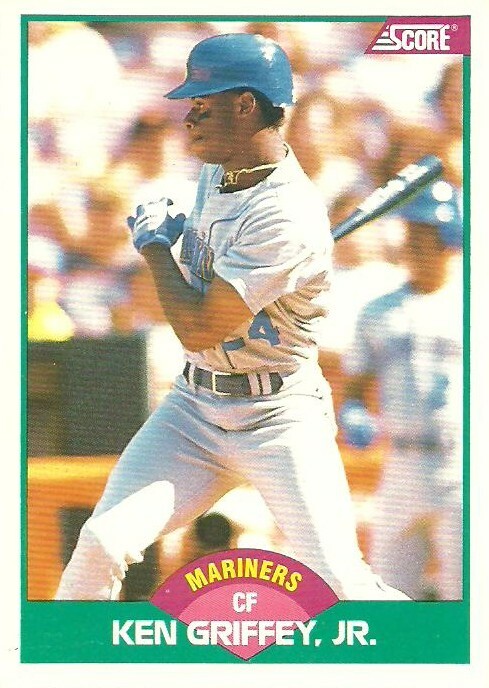 His 2,877 hits and 11 Gold Gloves may eventually get him into the Hall of Fame. 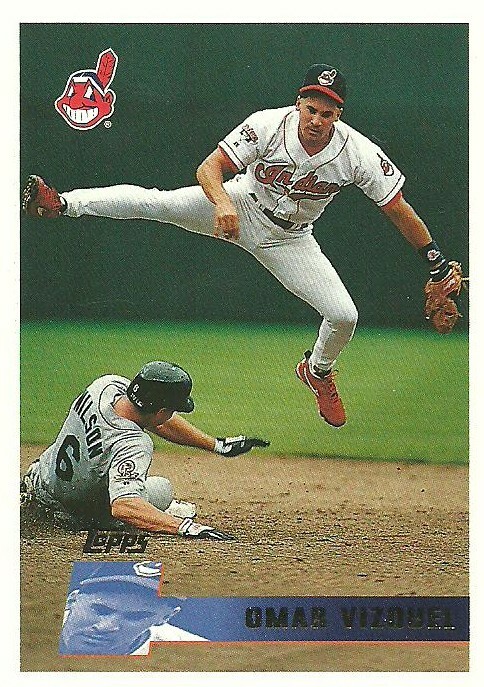 Here's a card depicting his athletisism and it also features Dan Wilson, so that's a bonus! 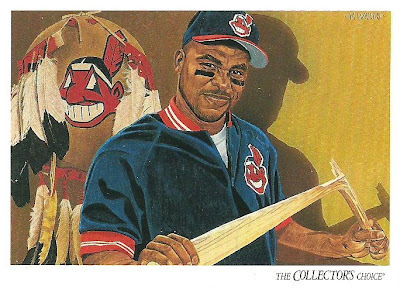 Albert Belle was a monster at the plate and had multiple issues with teammates, opponents, fans, reporters, Major League Baseball, and even a few trick-or-treaters, so I thought this 1993 Upper Deck Team Checklist card depicted him well. I did think it odd that his regular card from 1993 Upper Deck shows him in a playful mood, smiling away at the camera. Oh, the many sides of Joey, I mean Albert Belle. 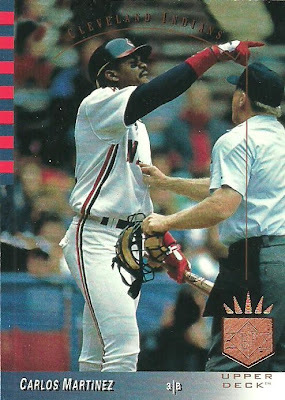 Here's another 1993 Upper Deck card, this time featuring Glenallen Hill. Not sure what happened prior to this photo being taken, but I would love to find out. 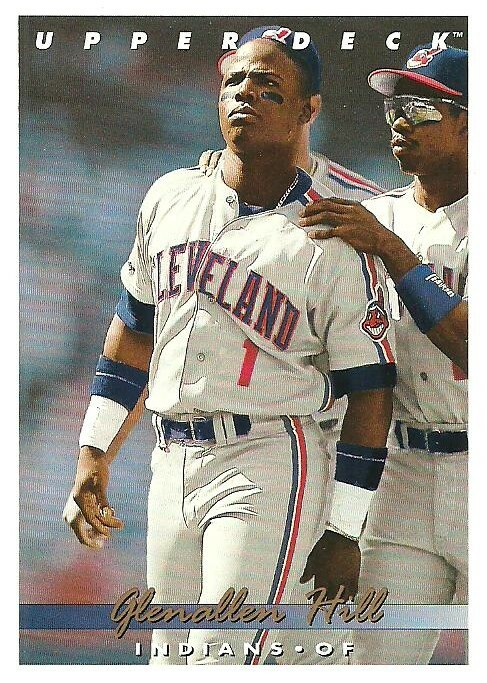 Maybe an incedent with teammate Albert Belle perhaps. Whateve it was this card reminds me of a UFC fighter getting ready right before the fight. 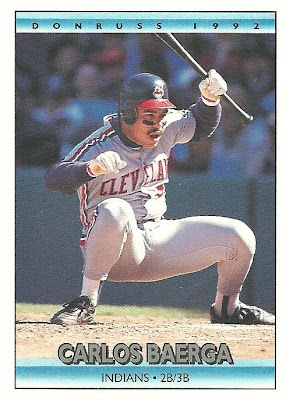 Obviously Carlos Baerga was ducking out of a fear for his life here, but I prefer to think that he was trying to give the pitcher a half inch strike zone. This time Baerga takes a different approach at bat. 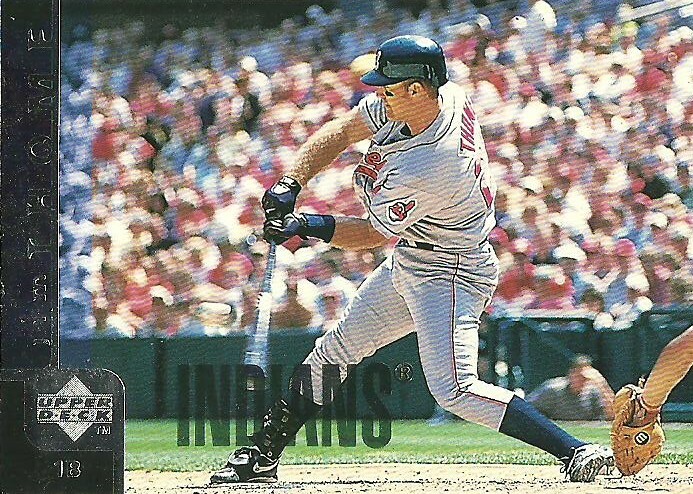 Jim Thome is another underrated player in my opinion. Just a five time all-star during his 20+ year career, Thome has quietly amassed 612 home runs at the time of this post and is 7th on the all-time list. I used to collect basketball cards. 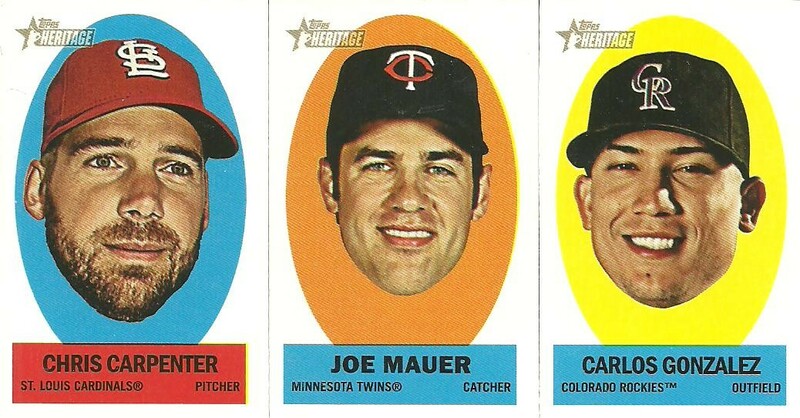 Now I look at them all and think about what it would be like if they were baseball cards instead. Oh well. 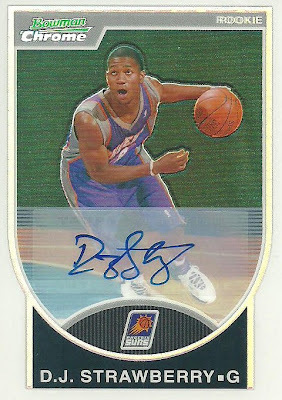 So, why did I just pick up a basketball card at my LCS then? Well, there is a baseball connection and for $2 I couldn't pass it up. 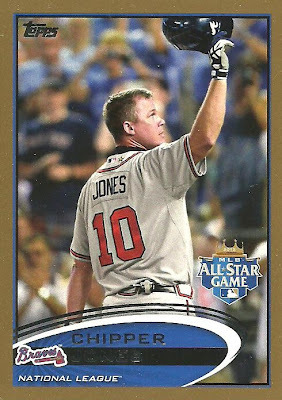 It's a 2007-08 Bowman Chrome Refractor RC of D.J. 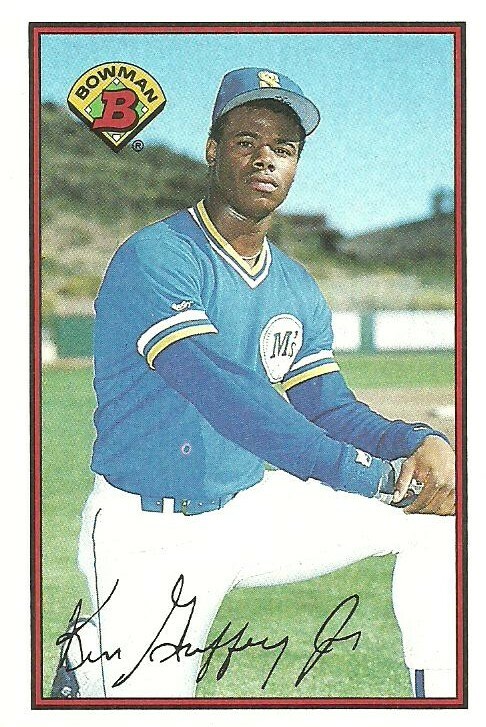 Strawberry, the son of baseball great Darryl Strawberry. 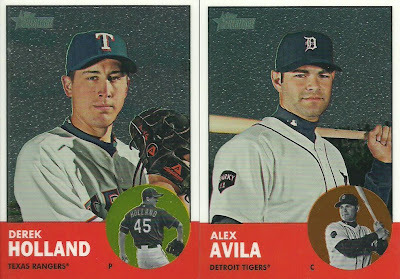 I forgot to post the panel from my 2012 Heritage box. Here it is. At least it has a Diamondback on it. If anyone wants to trade it for a panel with Ryan Roberts, let me know. 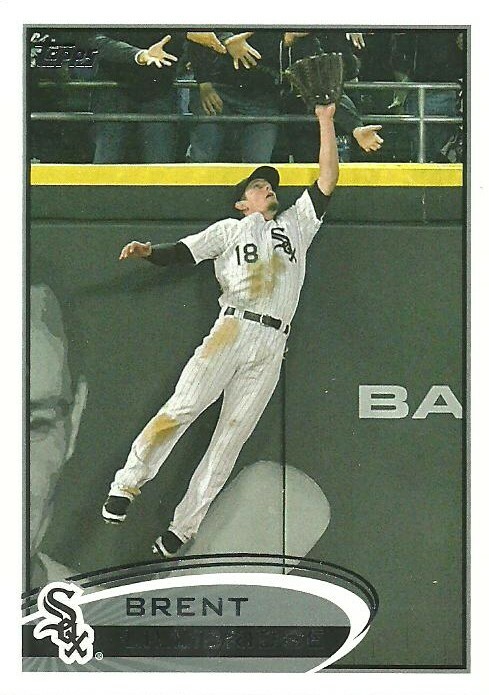 My wife got me one pack of 2012 Topps Update for my stocking. Here are the highlights, although the Jones has a dinged corner, so that was disappointing. 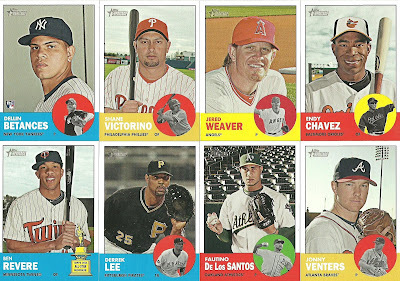 My wife bought me a hobby box of 2012 Topps Heritage for Christmas. It was a nice gesture, but she knows that I stay away from boxes for the most part and focus on singles. Oh well. Here's what I got. Everything is for trade. Also if you are trying to complete the set let me know what cards you need and I can check for you and we can work out a trade. Thanks! My oldest son asked for baseball cards for Christmas this year. He loves baseball and collecting cards. He's a big Diamondbacks fan. 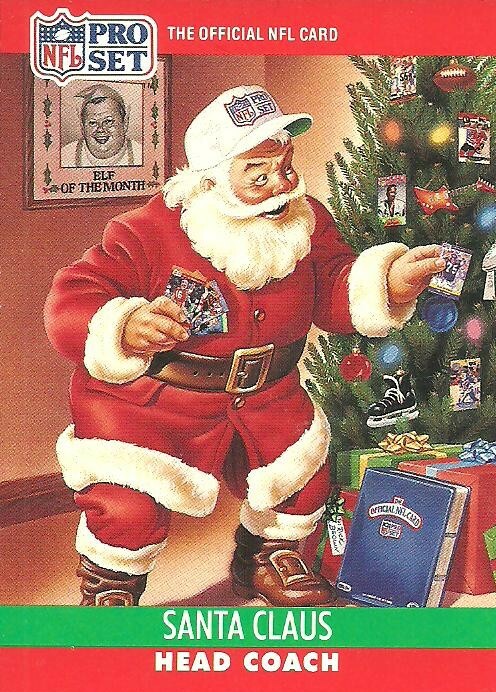 Santa brought a few cards and I gave him some as well. The majority of the cards I got from checkoutmycards.com during their After-Thanksgiving sale. It was great to finally be able to get cards for someone for Christmas. My middle son doesn't say much in the video, but provides a unique background. 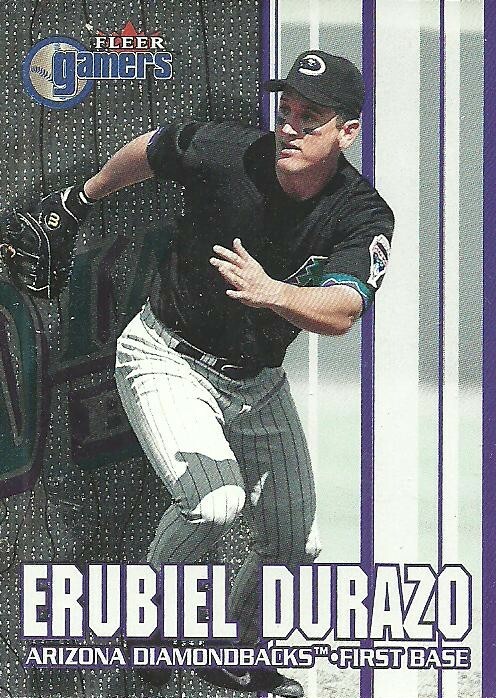 Durazo was one of my favorite D-Backs back in the day. Billy Buckner, not to be confused with Bill Buckner, played a few seasons with the D-Backs before getting traded to the Tigers and then released. He hasn't played in the big leagues since 2010, but is hanging around in the minors. Hope Hudson comes back strong after Tommy John surgery. 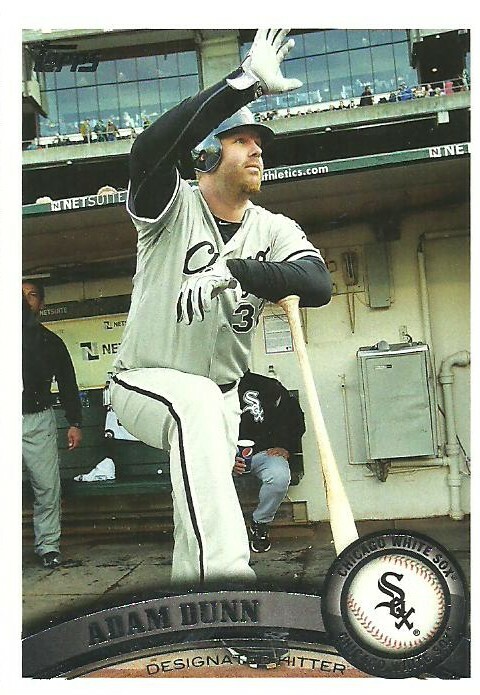 This card will make a nice TTM. 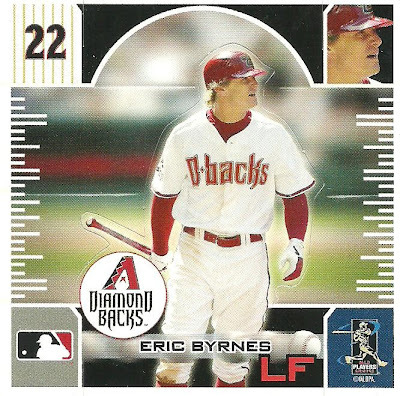 This Eric Byrnes card is awesome! It's square, rather than rectangular, and is perferated so that he would pop up. Not sure exactly what this is from, but it's cool! Thanks Wes! These cards were unexpected and very appreciated! I can't remember if we've ever traded before, so let me know what you collect so that I can send some cards as a thank you! 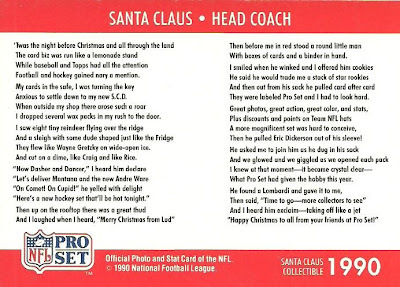 In sorting through my cards I came accross a "football" card with Santa on in that I thought would be appropriate for today. 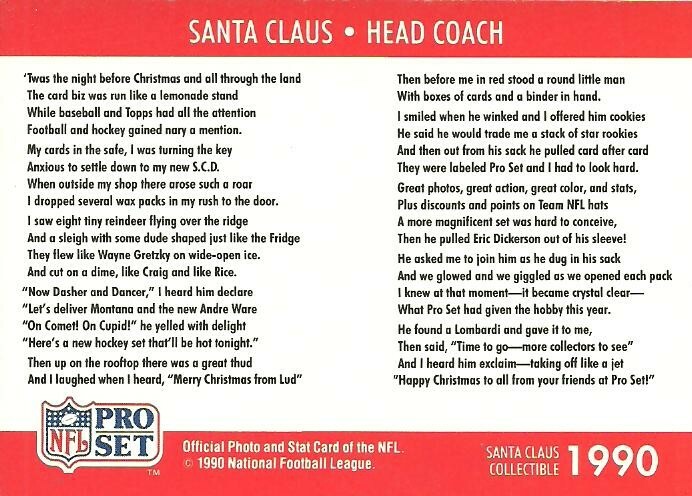 It's from 1990 Pro Set and features Santa as a Head Coach. The back has a clever little poem that pays homage to Pro Set. Michael Jordan was always my favorite basketball player when I was growing up, but baseball was my favorite sport. When Jordan retired from basketball and decided to try baseball, I was in heaven. 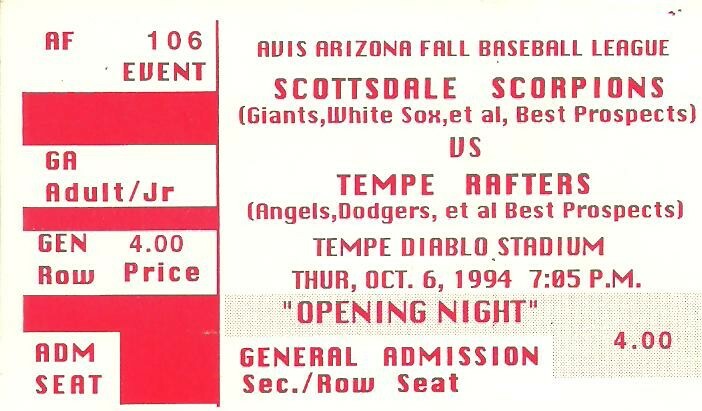 Jordan played on the Scottsdale Scorpions in the Arizona Fall League back in 1994 and I went to his first game. Here is my ticket stub. I've been sorting my cards by team and decided to do a Top 10 post featuring my 10 favorite base cards from every team. 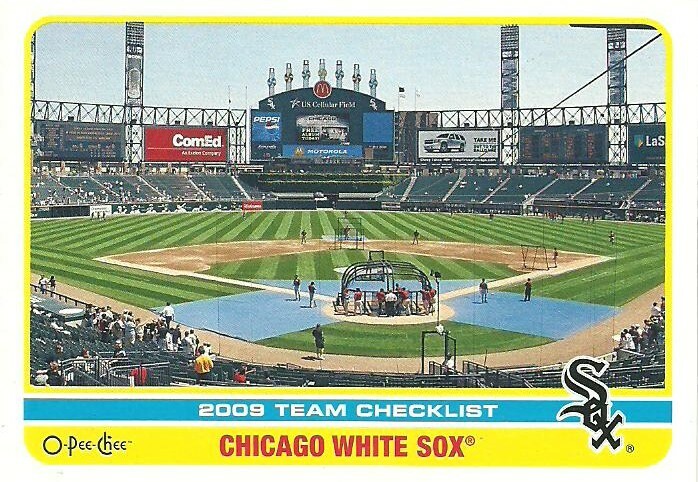 Next up are the Chicago White Sox. It's no secret that I am a Griffey Jr. fan. 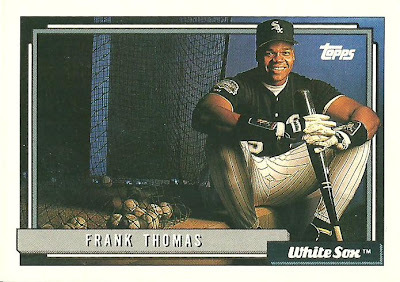 During the 1990's if you looked at the Hot List in Beckett it was a battle between Griffey and Frank Thomas for the number one spot. 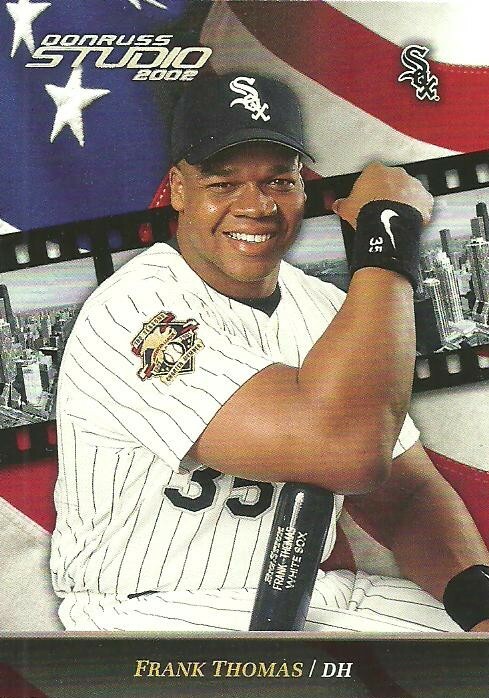 Even though he was the highest level of compition for my favorite player, I still have ton of respect for the Big Hurt and he has more than one card in this Top 10! #10 - Just a unique shot that I thought was pretty cool! 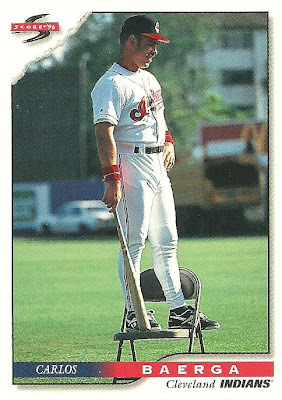 #9 - Maglio looks like he just smelled a fart! 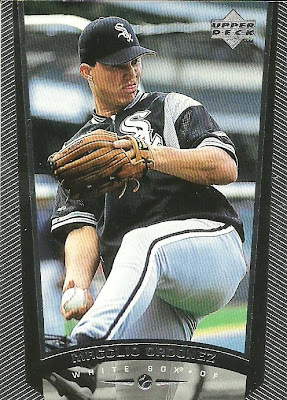 #8 - Looking through my White Sox cards I have determined that they have had some of the worst uniforms out there. Here is one example. Add the huge hair and the look on his face and it makes it into my Top 10 list. 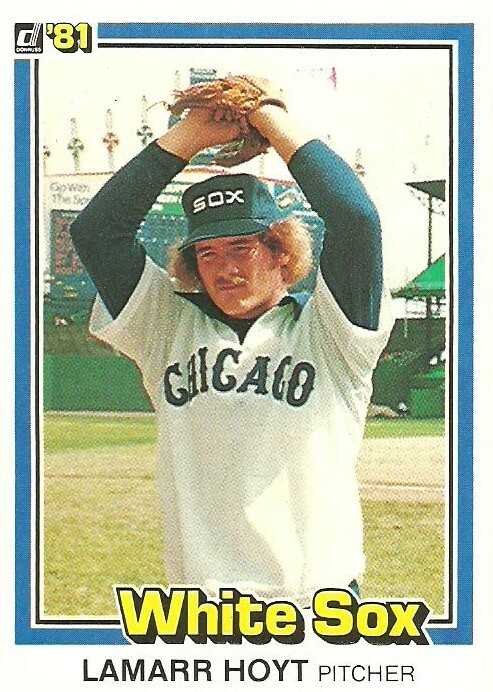 #7 - The White Sox wear green unifroms on St. Patricks Day during Spring Training. 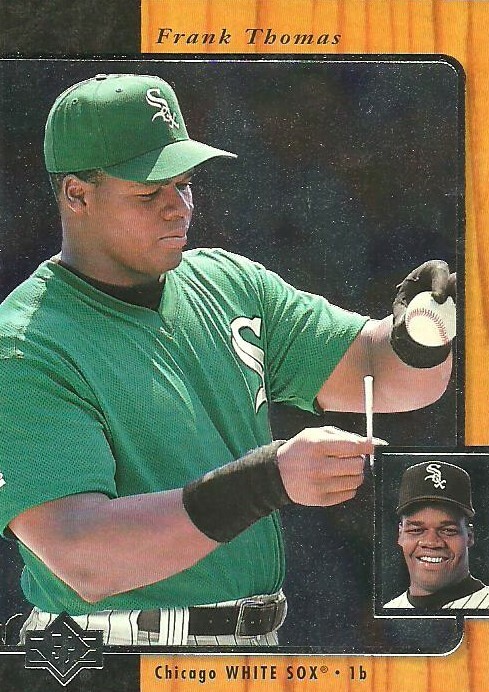 #6 - How would you like to face the Big Hurt with him swinging that! #5 - This card screams cool to me. I'm not a huge Swisher fan but he does seem to enjoy playing the game. #4 - How big do you think his bi-ceps are? I think his unforms must be custom made. 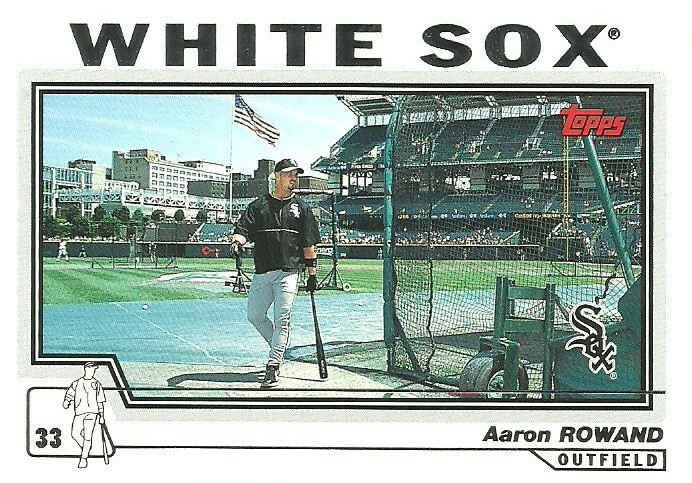 #3 - Just a cool shot of Aaron Rowand taking some BP. #2 - Love the fact that you can see all of the hands reaching out for the ball. I hate it when I watch highlights and the fans either don't even move or they back away. 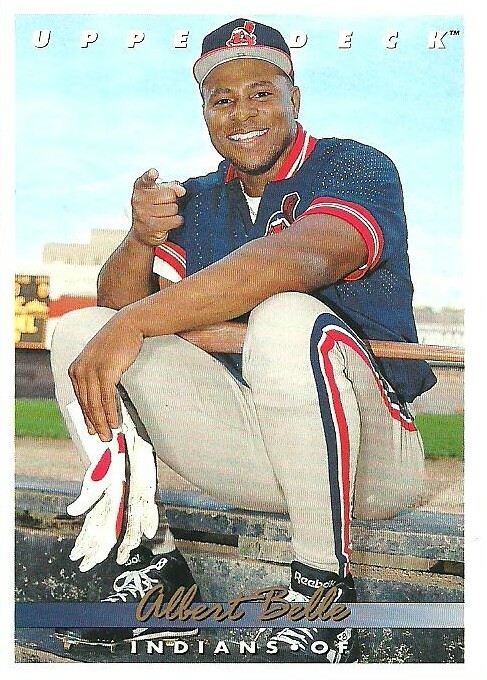 #1 - Awesome shot of the Big Hurt at an indoor batting cage. 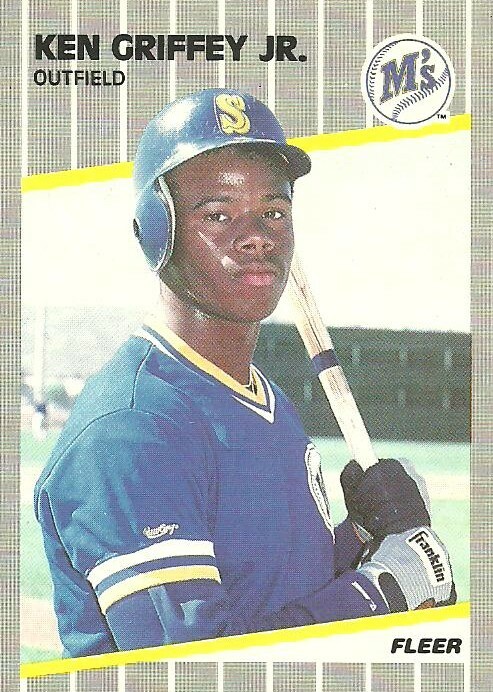 Last week I featured my 1992 Bowman Piazza rookie card, so this week I'm going to show a few additional Griffey rookie cards that I have in addition to the 1989 Upper Deck that I already showed. From the Baseball Hall of Fame web site: "One of the Hall of Fame's five original inductees in 1936, Honus Wagner combined rare offensive and defensive excellence throughout a 21-year career. 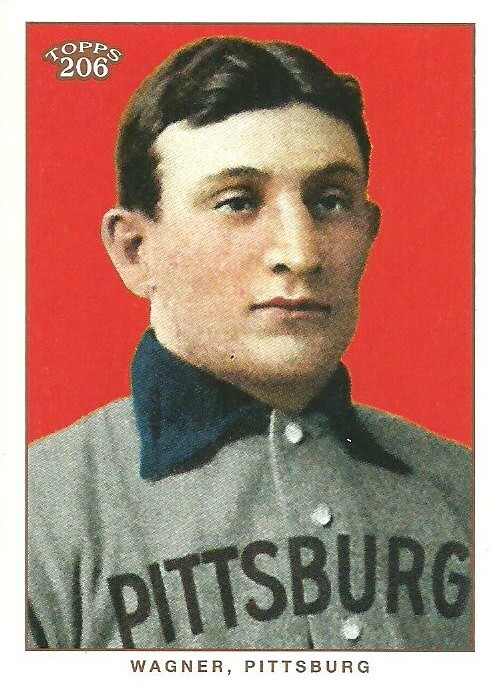 Despite his awkward appearance -- stocky, barrel-chested and bow-legged -- the longtime Pirates shortstop broke into the big leagues by hitting .344 in 1897 with Louisville, the first of 17 consecutive seasons of hitting over .300, including eight as the National League batting champion. 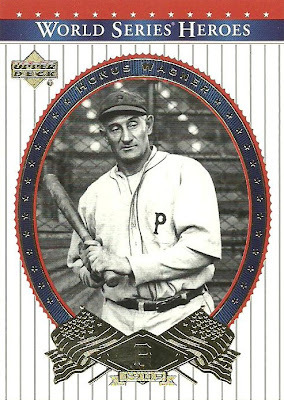 Wagner compiled a lifetime average of .329, and the Flying Dutchman also stole 722 bases, while leading the league in thefts on five occasions." 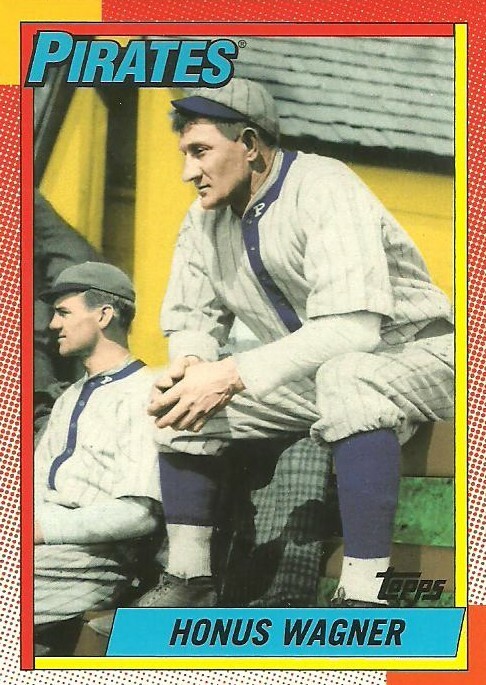 Here are the cards of Honus Wagner that I have in my collection.